Cable Drum Trailers Manufacturers and Prices! Cable drum TRAILERS are required for all heavy industries who would like to carry the heavy drums from one place to another in a smooth and seamless manner. They are reliable, efficient and affordable as well. 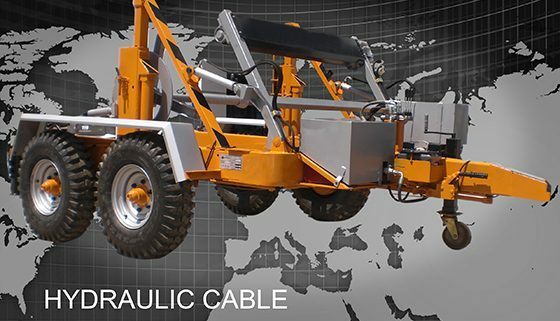 Cable trailers are known to be one of the most important accessories that are required for any kind of project- be it a construction company or a telecom industry or electric supply.It is a primary equipment which is required for loading and unreeling of cable drums as well as cable reels in the best possible way as per the latest standards. Drum trailers make loading as well as unreeling very effective. The drum trailers are powered by hydraulic extensions that helps heavy loads to be transported from one place to another. the trailer is used in a versatile way, making it very popular in all industries. Each of the drum trailers have great handling capabilities, because of the twin axle assemblies. It helps in simple loading and unloading process with the help of loading.They are ideal for pipe coils, micro tube drums as well as skips. 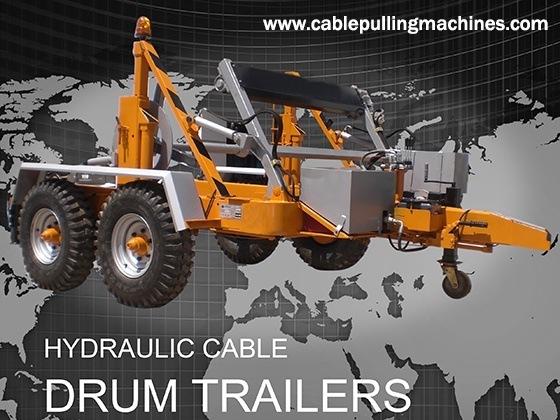 We comprise of some of the best cable Pulling equipments as well as cable drum trailers that are of various sizes. They have a title frame through which they get loaded and this is operated by a manually operated hydraulic pump and cylinders. Our cable drum trailers can take a load of 30 tonnes and reels with outer diameters of approximately 3,700 mm! Allof our cable trailers are finished by hot galvanizing. You can call us if you want more information on the same.